Benefits of Pomegranate - Inside and Out! There are numerous benefits of pomegranate. This sweet fruit is grown on the punica granatum deciduous tree. Its size can be as small as lemons or as large as grapefruits. It has a thick, reddish skin, with about 600 seeds inside. Each seed is encased in a translucent, water laden, pulp or aril. Pomegranates can be a tasty delicacy. Whether you're searching how to lower LDL, (bad cholesterol), to improving your skin condition, pomegranates benefit the body, inside and out! Pomegranates contain polyphenols, powerful antioxidants, that prevent against free radical damage. 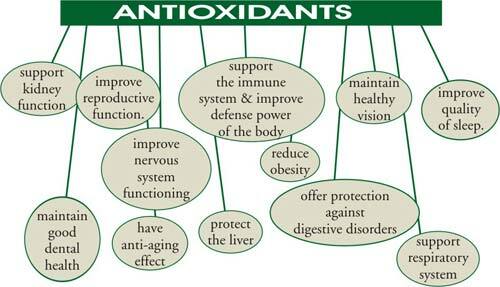 Free radicals are unstable molecules that can cause havoc on the body, inside and out. They can damage cell membranes and DNA, risking your overall health. Pomegranates have powerful antioxidants benefits! One study showed pomegranates having more antioxidants than cranberries, blueberries or green tea! Pomegranates have the benefits of vitamins A, C, E and K. Vitamins A and C can help you fight off colds, flu or other viral infections. Vitamins E and K promote good blood circulation and coagulation, initiating healing. They have a high mineral content including: folic acid, iron, calcium, fiber and potassium. Pomegranates are anti-microbial, anti-inflammatory, and anti-aging. They promote healthy blood circulation, protects skin from free radical damage and rejuvenates skin cells. Used in homemade soap recipes they can fight: acne, dry skin, pre-mature aged skin, fine lines, wrinkles and more! Skin can have a youthful-looking, smooth and supple, appearance. It can have a fresh, healthy, glow. Whether eating pomegranates, drinking pomegranate juice or using pomegranate oil in commercial or homemade beauty products, (soaps, lotions, creams), this delicate fruit is useful in many ways! Normally, pomegranate fruit is safe to eat when consumed in moderation. An overdose of its seeds, oil, juice or extract can cause diarrhea or upset stomach. Rare cases may involve allergies to the fruit. Contact your health care provider, immediately, and discontinue use if you notice any of these symptoms: itchiness, swollen tongue or lips, difficulty swallowing or breathing. Pomegranate can be found in grocery stores, health food stores, on-line or other locations. Pomegranates are a delicate fruit, so be choosey when picking the right ones. Find ones that are medium to deep red color, having no cracks or splits, with a thin, tough, skin and feel firm in the hand. Check for soft spots or weeping fluid. You want to be careful that they're not spoiled inside. Eat them within one to two weeks of purchase or store in refrigerator for extended use, up to one to two months. They should only be left at room temperature for up to two or three days. Discard all spoiled fruit, since bacteria sets in, causing digestive problems.